Well Sally doesn't explain it per se, but the brown-haired guy. It's always strange and anachronistic to me when newspaper comic strips write about anything remotely topical. I realize Mystery Science Theater 3000 went off the air 13 years ago, but still. 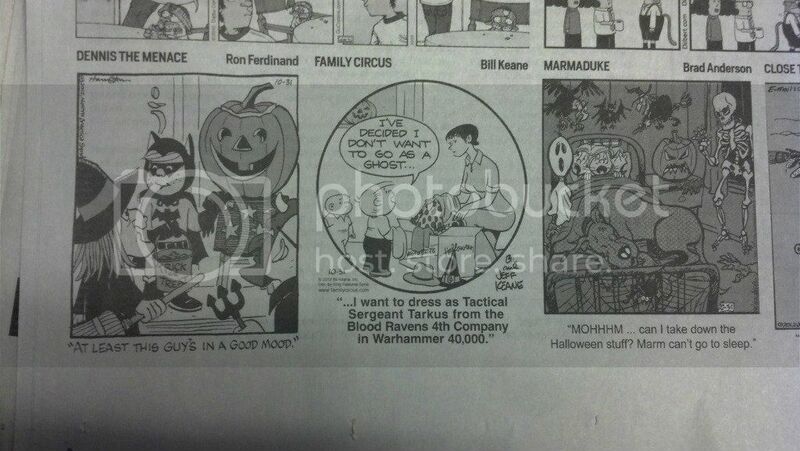 It's like the Family Circus where Jeffy references Warhammer 40k. What's next? Mary Worth lectures her friend on the irrelevancy of sloppy Internet film criticism? Luann goes on a date with Nicolas Cage? Apartment 3-G takes place in The Room? The most important aspect of this Sally Forth comic is it introduced me to the Pac-Man Christmas special, which is actually a thing. Whoa! That 40k comic shattered everything I knew about the world. The best part is knowing that somewhere out there my grandma is reading that and scratching her head.